My name is Ted Harvey. For the major part of my career I have been involved with horses and guest ranches. My ranch life began at the age of fourteen when my dad took me to Valley Ranch in Cody, Wyoming. I have been working on my dude ranch career ever since. At the age of seventeen I went back to Valley Ranch to their Wrangler School. Over the following 25 years, I developed a great appreciation of guest ranhes and for giving people the best vacation of their life. Working on ranches in Colorado, Wyoming, New Mexico and Montana, I have formed life-long friendships with guests, ranch owners, and staff. Starting my career as a wrangler I have worked in every aspect of dude ranching from being the head wrangler to head cook, from maintenance to director of activities and sales and reservations to wedding planner and been general manager in charge of every aspect of ranch operations. I am certified by the Dude Ranchers Association as a Wrangler Instructor and have trained countless wranglers, and head wranglers over the years. I have developed policies procedures and programs for every area of dude ranching. Although this site was created by Ted Harvey, throughout the site I refer to “us." 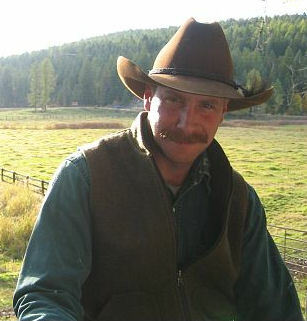 Thomas Harvey is the co-author of the Ranch Planner Software and has been involved in building several dude ranch business models. He has a 35 year background in international finance.